Naval power was inextricably tied to the fortunes of the Byzantine empire in the period 300-1000. Under emperors Constantine (r. 324-337) and Justinian (r. 527-565), the Byzantine fleet was modern and large and could project power to the far corners of the Mediterranean Sea, maintaining the flow of goods and the prosperity of the empire. The standard Byzantine warship was the dromon, a galley with two banks of oars and an average crew of 200 oarsmen and 70 marines. Swifter and lighter warships called the pamphylos and the ousiakos were also used, and special transport ships were used for carrying horses (onerarai) and for projecting Greek fre (siphonophores). Byzantium faced a new naval threat with the emergence of Islam in the seventh and eighth centuries. Muslims seized important naval bases along the Mediterranean littoral and islands and placed the Byzantine capital under siege twice (674-678 and 717-718). In the ninth century, Byzantine emperors Michael III (r. 842-867) and Basil I (r. 867-886) revived the eastern Roman Navy. But this revival was short-lived, as future emperors increasingly employed mercenary Venetians fleets to police their waters. When a Russo-Swedish navy attacked Constantinople in 1042, the Byzantines pressed into service aging hulks and refitted transports to defend the city, and in 1204 there was no Byzantine navy present to meet the Catholic crusaders during the Fourth Crusade (1202-1204). Globally, the period 300-1000 CE witnessed both change and continuity in warfare largely due to increased reliance on cavalry, advances in technology, and often- except in sub-Saharan Africa and the Americas-increased reliance on navies. In Eurasia, migrations and invasions of steppe peoples into civilization zones precipitated the decline and fall of great civilizations in China, India, and Europe, changing the way these civilizations made war and raising the value of cavalry during this period. In China, the infantry-based armies of the late Han dynasty began to include more cavalry in their tactical mix to meet the persisting threat of horse nomads on their northern frontier. Han commanders even went so far as to hire nomadic horsemen as mercenaries because of their skill as mounted archers using powerful composite bows. After the fall of the Han dynasty in 220, Chinese armies were heavily influenced militarily by the influx of central Asian peoples who brought with them saddle and stirrup-stabilized cavalry, both of these inventions coming from horse nomads. But policing the vast territories of China required large multiethnic infantry contingents, so footmen remained an integral part of the Chinese military system throughout the later Sui (581-618) and Tang (618-907) dynasties. Indian military structures were also impacted by the influx of steppe peoples into the subcontinent in the period 300-1000. During the Kushan Kingdom (ca. 150 BCE-ca. 200 CE) Indian warfare was influenced by central Asian martial practices, dispensing with the war chariot so popular in earlier periods and emphasizing cavalry tactics over large infantry engagements. The rise of the indigenous Gupta dynasty (320- ca. 550) returned India to more traditional ways of warfare, stressing combined-arm cooperation using heavier cavalry, infantry, and war elephants. The Gupta infantry could stand against the cavalry from the central Asian steppe because they used the bamboo and steel longbow that could shoot armor-penetrating missiles. The Gupta dynasty was nearly destroyed by another steppe people, the Huns, whose cavalry armies swept into India from the northwest in the late fifth and sixth centuries, but an alliance of Hindu armies drove the Huns out of India in 528. The conquest and occupation of the Sind by Arab Islamic armies in the early eighth century introduced Islamic martial practices to Indian war making, while the northwestern frontier of India was threatened again in the tenth century with the coming of Turkic Ghaznavids (963-1187) who utilized steppe warfare showcasing lighter horses and mounted archery. 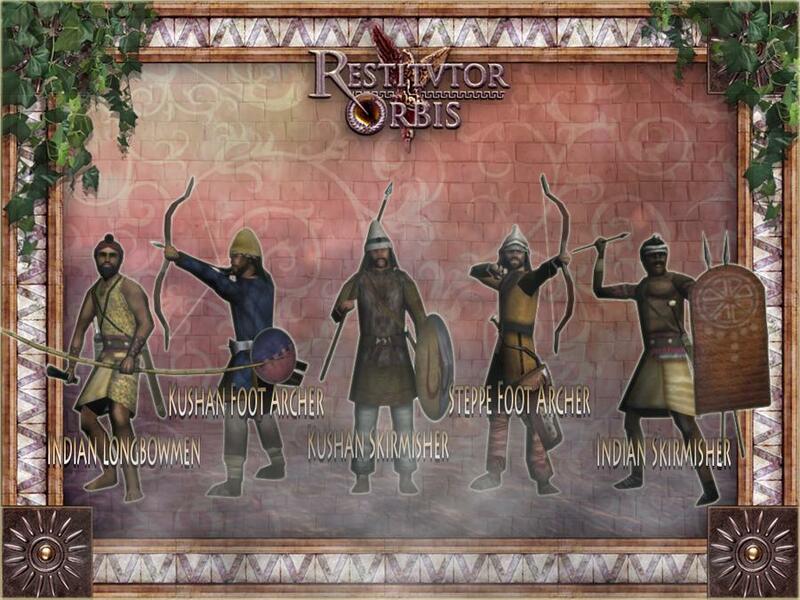 Turkic martial organization and tactics would continue to influence Indian warfare through the numerous dynasties that made up the later sultanates of Delhi (1206-1527). Persian warfare under the Sassanids (224- 651) mirrored that of their chief adversary, the Byzantines, with sophisticated armies using well-armored heavy cavalry cataphracts with infantry support being the norm, although the Persians were also famous for their elephant corps. The rapid rise and expansion of Islam destroyed the Sassanids and quickly put the Byzantines on the defensive. Early Arab Muslim armies were not adept at siege warfare like their Chinese, Indian, and Byzantine counterparts, preferring to use their camel corps to cross deserts, bypass fortifications, and raid the countryside. But later Islamic armies adopted the technologies and tactics of their conquered peoples, transforming Muslim armies with heavier Persian-styled heavier cavalry and better siege trains, while in North Africa, Berber martial practices mixed with Arab practices as Islamic armies crossed into Europe and conquered the Iberian Peninsula after 711. The conversion to Islam of the Ghazni and Seljuk Turks brought light cavalry archers into Muslim warfare often with spectacular effect, as the Seljuk defeat of Byzantine forces at Manzikert in 1071 illustrated. In Europe, the Roman Army was in decline beginning in the fourth century and was unable to defeat Germanic tribes penetrating the Roman frontiers in raiding expeditions, a process that accelerated in the fifth century. Drill and discipline suffered as Germanic troops were allowed to join the Roman military, often with their own commanders, and by the fall of the western Roman empire in 476, the Roman Army was indistinguishable from its barbarian enemies. Cavalry, rather than infantry, was the featured military arm of emerging Germanic kingdoms, especially after the diffusion and widespread use of built-up saddles and stirrups created more efficient lancers in the ninth century. This West European heavy cavalry provided Catholic Europe with the strategic mobility to meet the threat of the Magyar and Viking menace, and by the beginning of the eleventh century heavy cavalry was the dominant military arm in western Europe. Martial practices in North Africa in the period 300-1000 were heavily influenced by Roman, Vandal, Byzantine, and later Islamic warfare, while in sub-Saharan Africa tribal warfare was the norm. Between 700 and 1000 the kingdom of Ghana emerged as the dominant political and military force in sub-Saharan Africa and was the first of the western Sudanese empires to establish a large professional army. During this period, cavalry was not a featured military arm as it would be in the later kingdoms of Mali and Songhai. Instead, infantry armed with short-handled wood, stone, and iron-tipped thrusting spears, javelins, and iron swords and protected by bamboo shields was the main fighting force. These light troops were ideally suited for fighting in the varied topography of the Sahel, savannas, and jungles that surrounded this West African kingdom. War revolved around protecting the gold, ivory, and salt trade; iron mining; and the seizure of captives for the growing slave trade with the Mediterranean world. The expansion of Islam into West Africa after 1000 changed military structures, highlighting the role of professional soldiers and creating large standing armies as well as highly disciplined cavalry forces. In the New World, patterns of warfare in the period 300-1000 continued to be centered around tribal conflicts using small armies with stone age martial technologies like atlatls, bows, spears, and clubs for control over people, trade routes, and limited natural resources like fresh water, arable land, and access to obsidian and chert, strategically important materials for constructing tools and weapons for societies that did not use copper, bronze, or iron. Where states did exist, warfare was highly ritualized, and there is still debate among scholars on the role of human sacrifice as a motivation for raiding and conquest. One of these states, the Teotihuacan civilization in the Valley of Mexico, was capable of fielding an army of nearly 20,000 men when augmented by allied communities. This army utilized battle standards (a first for pre-Columbian armies), and there is indication that soldiers were equally adept in shock combat using thrusting spears and clubs as they were using standoff missile weapons like javelins and atlatls (bows were not used). or protection, quilted helmets and shields were utilized. Farther east the classical Maya (ca. 250- ca. 900) organized their society in city-states like ancient Greece and continuously fought civil wars for control over the region’s resources. Archaeology reveals that the Maya built fortifications around their urban centers, but modern scholars are still deciphering sources to understand Maya tactics and military organization. Most martial activity seemed to be done by a military caste that most probably fought in open formations and used missile weapons like bows, atlatls, and spears and then closed for hand-to-hand combat with thrusting spears and clubs. Textual and archaeological evidence supports increased Maya warfare at the end of the millennium, perhaps due to increased competition for dwindling resources. Less is known about the military capabilities of the central Andean civilization of the Moche (ca. 100-ca. 800). 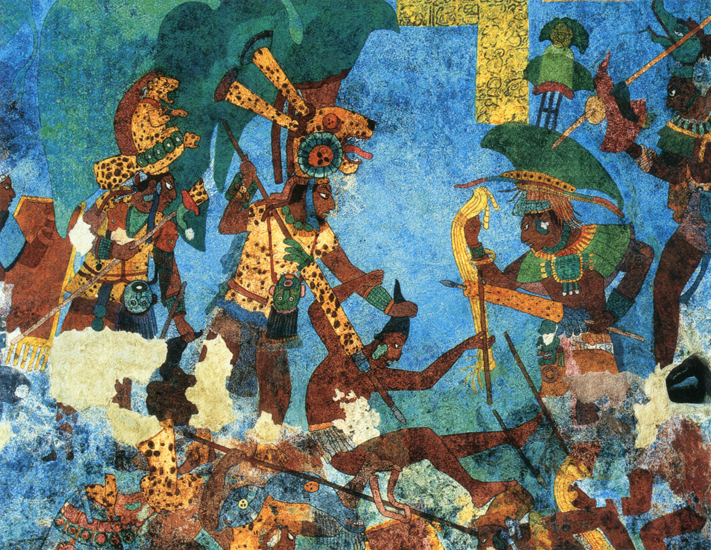 The Moche were organized like the Maya in loosely connected communities, and limited archaeological evidence suggests that Moche warriors fought without armor and with atlatls and clubs, while defensive works at the end of the civilization point toward internal social unrest, possibly because of climate change. At sea, Old World navies from East Asia to Europe continued to use wooden ships powered by oar and sail. In China, the Han dynasty’s so-called Tower Ship Navy was improved upon by later Tang and Song rulers, and the Chinese proved masters of seaborne and riverine operations. Farther west the Gupta empire maintained a navy and was able to control regional waters around the subcontinent, while the Sassanids in Persia used their navy to attack across the Persian Gulf to Arabia before the advent of Islam. 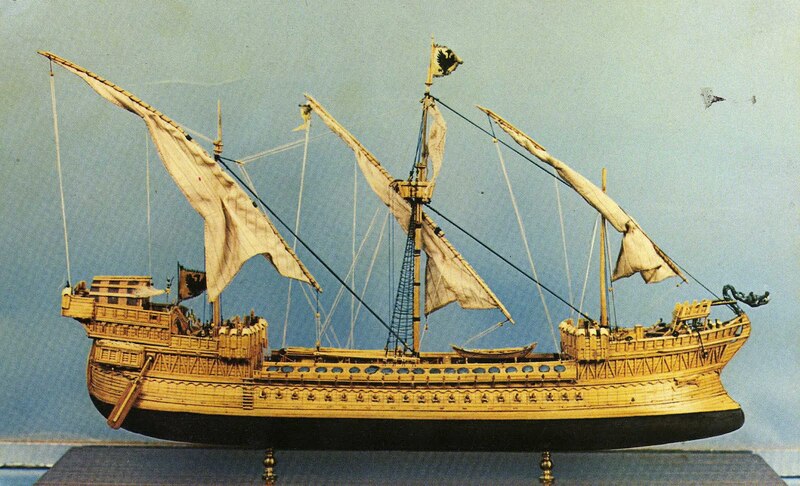 In the Mediterranean, Byzantine and Arab Muslim warships were usually smaller derivatives of earlier Roman galleys and carried contingents of marines for ship-to-ship fighting and amphibious operations. The incendiary known as Greek fire was used to good effect by the Byzantines to destroy a large Muslim fleet in 678 and was soon in the arsenal of most civilizations in the region. Farther north, Scandinavian shipwrights constructed large clinker-built long ships capable of extraordinary transoceanic journeys and deep river penetrations, becoming the Vikings’ favorite tool for raiding and invading Europe from Ire land to the Ukraine and colonizing Iceland, Greenland, and, for a short period by 1000, parts of the northeastern coast of North America. There is no evidence to support the existence of large organized navies in sub-Saharan Africa and the Americas in this period.